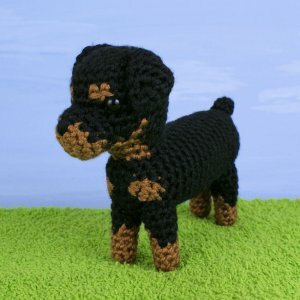 An original crochet amigurumi Rottweiler dog pattern from the AmiDogs range by June Gilbank. Date Added: 02/26/2018 by Rachel H.
This is such a cute patter and works up quickly. Simple but fun. Date Added: 11/21/2015 by Alexander O. Date Added: 09/19/2012 by Chrisie M.